A couple of years ago, I posted about a set of postage stamps that the African country of Togo released in 1997, but I didn’t know that another African country — Mali — had also put out a similar sheet of stamps at the same time. Both sets were obviously trying to capitalize on the newly released “Special Editions” of the original Star Wars films. 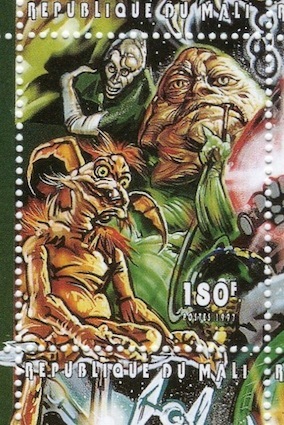 You can see that they picture the new CGI version of Sy Snootles, as well as the new dancers and musician that were added to Jabba’s Palace in the “Special Edition” of Return of the Jedi. 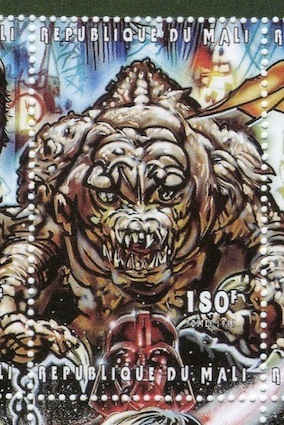 There’s also a rancor, which you can see below. 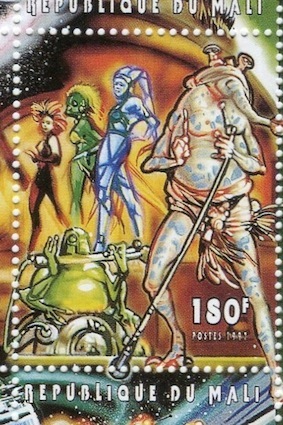 Overall, I think the artwork on these stamps is a lot better than on the ones from Togo. The style is bordering on caricature, but it’s certainly well done. 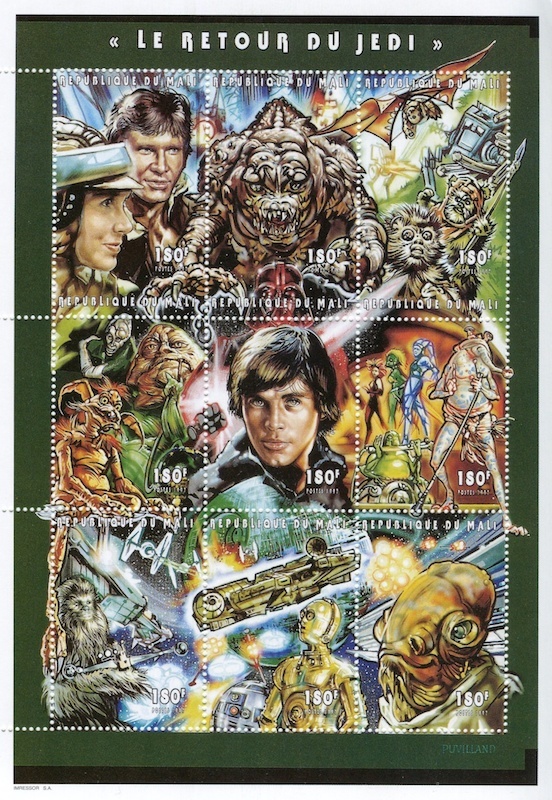 You can see the entire block of stamps below.